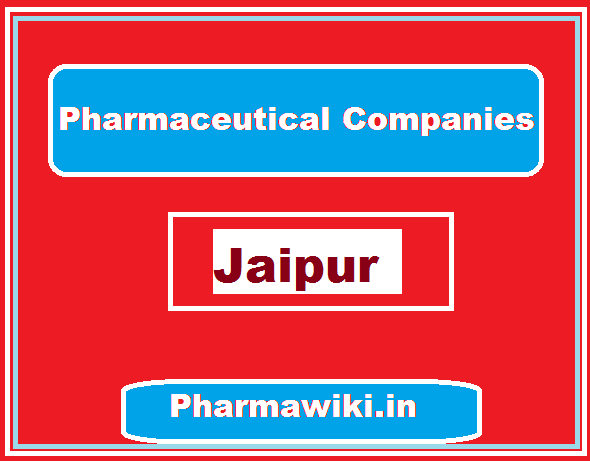 Pharmaceutical Companies in Jaipur: Jaipur is the capital city of the Indian state of Rajasthan. The State of Rajasthan has been marching ahead in terms of industrialization. Due to the consistent support and growth strategy adopted by the Government, the units of large, medium and small-scale industries are increasing every year. Being the largest city of Rajasthan, major industries of Jaipur cover a wide range of sectors including tourism, luxury textiles and hand-made garments, gems and jewelry, food and beverages, tobacco, mining and minerals production, automobiles, machinery and machine tools. 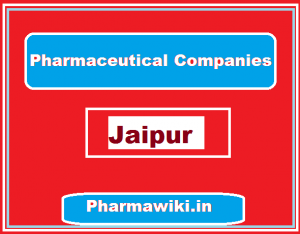 In terms of Pharmaceutical advancement, Jaipur is not so very far in its establishments for medical aid. With 210 Allopathic Hospitals, 97 Primary health centers and 18 Community health centers Jaipur is thriving to become a developed pharmaceutical hub. Besides these with the ushering of their natural medical remedies the city owns 180 Ayurvedic Hospital 39 Dispensaries and 525 Sub Health Centers. According to the experts at the IIHMR University, Jaipur, the employment sector of Biotechnology & pharma profiles reported 21% rise in demand followed by IT/Telecom professionals. Among the top ten locations of India, Jaipur reported the highest rise in talent demand of 26%.as per the latest an analysis identifying the hiring activity and trends in India Inc.
SP 918, Phase III, Ind. Area, Bhiwadi. 17-B, Indraprastha Indl Area, Road No.2, Kota. Allied Chemiclas & Pharmaceuticals Pvt. Ltd.
F-61-A Ind Area, Parbatpura, Ajmer. Antrix Health Care Pvt. Ltd.
C-826, Riico Ind Area, Bhiwadi. E-41-F, Kushkhera Riico Industrial Area, Bhiwadi, Alwar. G 1-679, RIICO Ind. Area, Bhiwadi, Dist. Alwar. SPL 3, Riico Ind Area, Chittorgrah Road, Bhilwara. C-584, Riico Ind Area, Bhiwadi. Corporate Channels India Pvt. Ltd.
E-292, Riico Ind Area, Bhiwadi. 812, G-1/31, Riico Ind Area, Bhiwadi. Elcon Drugs & Formulation Pvt.Ltd. E-1105, Ind Area, Phase III, Bhiwadi. G-1/31(F) Riico Ind. Area, Gegal, Ajmer. B- 70, Marudhara Ind. Area. Phase –II Basni, Jodhpur. Jawa Pharmaceutical (I) Pvt. Ltd.
28 Old Ind. Area, Alwar. SP-289(A) Riico Ind. Area, Chopanki, Bhiwadi. SP-1192 A&B, Phase IV, Ind Area, Bhiwadi. G-1-31, (I&H) Riico Ind Area, Gegal, Ajmer. S. Bhargva Pharmaceuticals Pvt. Ltd.
E-1216, Phase-I Ext; Ghatal Ind Area, Bhiwadi. Rajasthan Air Products (P) Ltd.
A-619 & 630, Riico Ind Area, Bhiwadi. Rajasthan Drugs & Pharmaceuticls Ltd.
S B L Pvt. Ltd.
A-1132, Riico Ind Area, Bhiwadi. F-76 C & D Ind Area, Phase-I, Bhiwadi. 329 Old Ind. Area. Alwar. Riico Ind. Aread, Bhiwadi Dist. Alwar. 17/18, Old Ind. Area, Alwar. F-529, Riico Ind. Area. Bhiwadi. Welcure Drugs & Pharmaceuticals Pvt. Ltd.
A-1129, Phase III, Riico Ind. Area. Bhiwadi. In spite of prevailing challenges in the Indian pharma sector Rajasthan today has over 367 medium and large scale industries providing employment to 122 thousand people and over 2.29 lac small-scale industries employing 8 lakhs people. The experts also mentioned that 58,000 additional job opportunities are likely to be created as the industry is expected to grow up to 45% by 2025. Recently a Jaipur-based smartphone application MeraPatient has come up to bring more offline pharma stores online. The founders of this app out of concern to Healthcare connectivity aimed to create a single point platform that could bring together all stakeholders in the healthcare system. It offers the user to search nearby authenticated pharma stores and diagnostic labs (in a five-kilometre radius) by uploading the prescription on the app and can see and buy medicines or book an appointment for any prescribed tests. Depending on the choice and convenience, a user may choose an option and avail the offer. For the certified pharma stores and diagnostic labs, MeraPatient sends them alerts based on demand from users and based on availability. They are provided to offer a combination of price discounts and home delivery options. For hassle-free access of the user Diagnostic labs can also opt to upload test reports.